JEWEL BOX PERFORMANCES EXISTS TO SUPPORT, CELEBRATE AND SHOWCASE PERFORMING ARTISTS WHO COME FROM A DIVERSITY OF BACKGROUNDS AND EXPERIENCES. 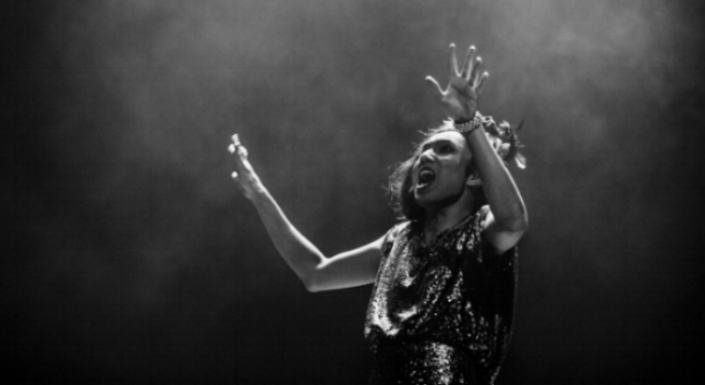 We are a project born in Melbourne out of a love of cabaret, circus and small scale theatre. Our current focus is on the inclusion of people of colour in arts festival programs in Melbourne. MC: Davey Thompson, writer, producer and occasional cameo maker. He’s a proud Bidjara, Inningai, Wakka Wakka and Gubbi Gubbi man who works at ILBIJERRI Theatre Company as Associate Producer. Special Guest: Will be announced closer to the event. FREE SIGN-UP ON FACEBOOK EVENTS. This performance was held on the never-ceded land of the Yaluk-ut Weelam. Jessica Hitchcock will be performing a selection from her recently released album at MPavilion, presented by the Jewel Box Performances. Jessica is an award-winning opera singer, actor and songwriter with family origins from Saibai in the Torres Straits. Her charismatic stage presence and versatile performance sphere draw on over 15 years of musical experience. 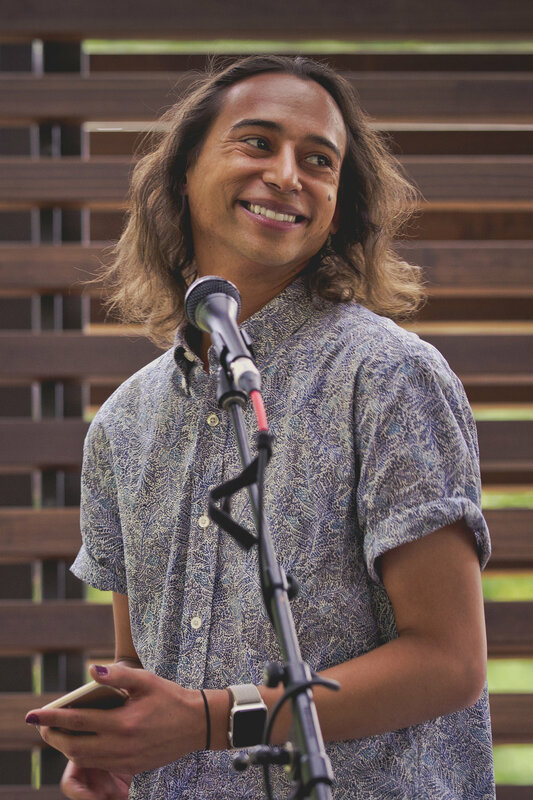 Jessica Hitchcock has established herself firmly in the Australian creative community through her collaborations with Jessie Lloyd's Mission Songs Project and Deborah Cheetham's Short Black Opera. She will be releasing her very first EP of original music in May 2019 which will be highlighted at this performance. With the help of amazing musicians such as Darren Middleton and Martin Brown the five track EP is set to successfully launch Jessica into the mainstream world of music. MPavilion is an innovative civic space, a cultural laboratory for the community to engage and share, and a bold architecture commission for Australia. In 2018, the fifth MPavilion in an ongoing series is designed by influential Barcelona-based architect and educator Carme Pinós of Estudio Carme Pinós. Celebrated internationally for her interests in urban liveability and inclusivity, as well as experimentation and poetic, experiential design, Carme is the first Spanish female architect to design a public work in Australia. Jewel Box Performances has been inspired by the architecture of the MPavilion structures and the innovation of the community program built around it to make the space some alive during the last four summers in Melbourne. There is no other place we wanted to showcase our first show and are honoured to be part of this years’ program. The pavilions (as physical structures and community programs) are gifts to the Melbourne area from the Naomi Milgrom Foundation whose generosity we acknowledge and give deep thanks to. Special Guest: Ali McGregor, Australian cabaret legend, former Artistic Director of the Adelaide Cabaret Festival. Ali is appearing in Victorian Opera’s Lorelei from 3 November - 10 November. Mama Alto will be performing a selection from her four recently released live-to-tape albums at MPavilion, presented by the Jewel Box Performances project. The albums were recorded on original vintage sound equipment—including a machine used by Nat King Cole and an RCA microphone of the kind favoured by Sarah Vaughan. Mama Alto is a gender transcendent diva, cabaret artiste, jazz singer & community activist. She is a non-binary trans femme person of colour who works with the radical potential of storytelling, strength in softness & power in vulnerability. Fierce, femme & fabulous, she has been lauded as “divine” (Havana Tribune, Cuba), “near flawless” (The Age), and “a knockout” (The Herald Sun). Drawing on legacies of vintage torch singers & her own identity as a queer person of colour, Mama Alto’s vocal & visual aesthetic transcend gender, disrupting & discomforting societal constructions of dichotomous boundaries. By embracing perceived difference she reclaims narratives of othering, defies the normative & rejoices in the sublime. The MPavilions (as physical structures and community programs) are gifts to the Melbourne area from the Naomi Milgrom Foundation whose generosity we acknowledge and give deep thanks to. Sign up to be on our mailing list to hear about upcoming events or drop us a line to chat.